"Not only is it easy to lie with maps, it is essential." While this may seem to be a bold and surprising statement, it's a long held view of renowned geography professor, Mark Monmonier. And, of course, Monmonier is right. In order to display the big, three-dimensional, and complex world we live in on a small piece of two-dimensional paper or on a screen with a limited number of pixels, we are forced to distort reality. As you'll soon see, every map does so in its own way. So how can maps, which distort reality, be married with journalism, which tries to paint an objective and accurate image of the world? In the context of news, maps are an intuitive way to show the location of where events took place, but they can be so much more than this. Maps can also explain how things happened, they can be the canvas on which a story is told, they can put the size and extent of things in context, and they can be used to show geographical patterns hidden in data. So, are all maps in the news lying? Are all news maps 'fake news'? If done well, they are not. But it is quite easy to produce misleading maps, even with the best intentions. Because there are plenty of reasons to use maps in the newsroom anyway, let's look at some commonly used maps and learn how to avoid being misled by them. 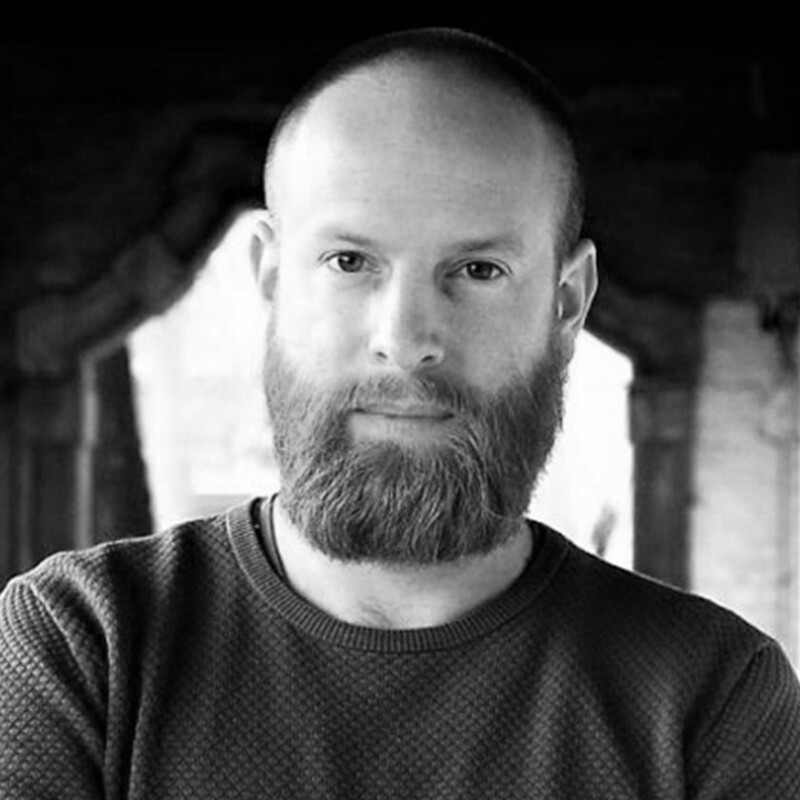 Maarten Lambrechts is a data journalist, data designer, and visualization consultant. Follow on Twitter: @maartenzam. A video course from Maarten, stepping you through how to create static and interactive maps for your stories. Take it here. A good news story answers the '5 W' questions: the who, what, when, where and why of something that happened. When an article only mentions the where of a story in the text, many people will not be able to really connect to it. A lot of readers simply lack the geographical knowledge to pinpoint Lombok, Lithuania, Luanda or Leicester Square, and to relate these locations to the places where they are living themselves, or to other places they are familiar with. The visualisation of a location through a locator map can overcome this problem. This type of map helps the reader to contextualise a news story geographically; it shows the location of an event in the context of the surrounding geography, offering many entry points to the map for the reader to connect with. Locator maps in the news show where that earthquake happened, where that exotic tax haven is located, where in my city that bank was robbed and where exactly in the world that ongoing violent conflict is taking place. 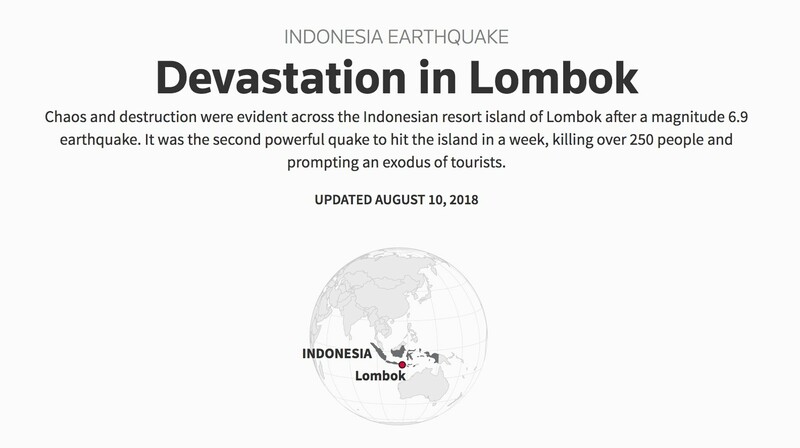 A locator map showing the location of Lombok, part of the introduction of Devastation in Lombok, by Reuters Graphics. Locator maps let people assess how a news story is related to their own life. Did something happen close by? Did something happen in a country they've visited or where people they know live? Or did something happen in a country neighbouring a country they know or have some kind of connection to? Based on these questions, readers can quickly evaluate how relevant a story is to them. And a locator map makes this evaluation easier than providing a description in text only. So, in what sense does the humble locator map lie to the reader? Well, locator maps usually are very small in order to be readable. This means that these maps leave out many details: sinuous roads become straight lines, smaller roads are left out (or roads are left out altogether) and a group of mountain peaks can be represented by a single symbol for a whole mountain ridge. In other words, these maps are heavily generalised, which limits their accuracy and broader use cases. Don't use them for navigational purposes, for example. You will get lost. Maps can do more than show the ‘where’ of a story. 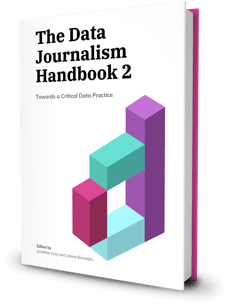 When news breaks, the big challenge for journalists is to explain to their audiences how events unfolded. In many cases, the best way to do so is by using an annotated ‘breaking news’ map. A breaking news map showing what happened in Nice on 14 of July 2016, from What We Know After Terror Attack in Nice, France by the Wall Street Journal. Notice how the annotated map at the top is accompanied by two locator maps: the first one to situate Nice in France and the second one to situate the attack in the city of Nice. While locator maps only communicate 'something happened here', annotated maps can show a sequence of events and convey other information relevant to the story. People familiar with the location can mentally replay what happened by connecting what’s on the map with how they know the place. Often these maps use oblique, 3D-views of a city, so people unfamiliar with the location can still get a good sense of exactly what happened and how things looked on the ground. 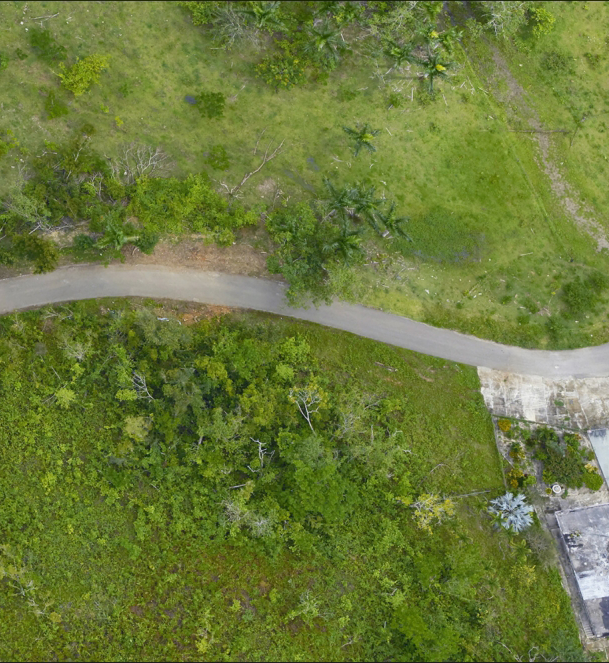 With Google Earth Pro you can generate these very detailed, oblique views for free. 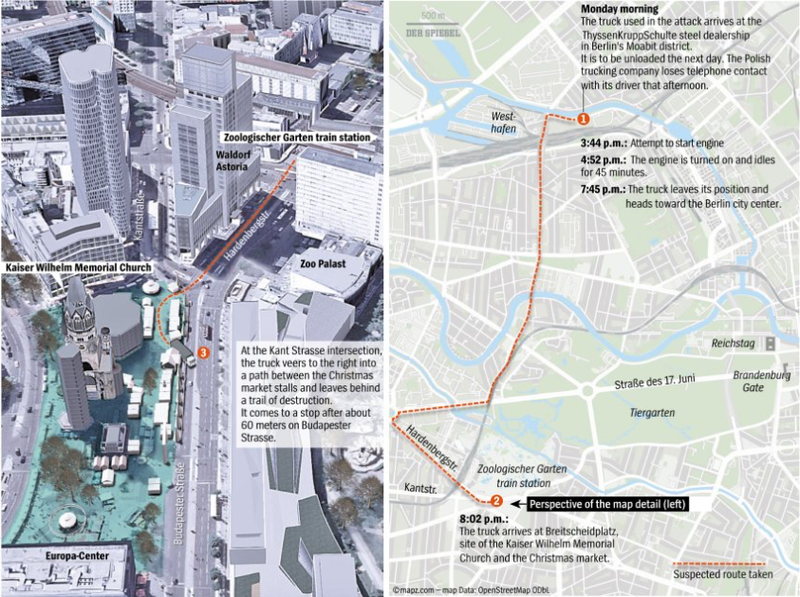 An annotated map describing the events in Berlin on 19 December 2016 by Spiegel Online. But be careful. Some people might think these 3D images are real pictures, taken at oblique angles from airplanes or helicopters. Remind them that they are not; instead, they are generated by Google Earth by 'draping' satellite images over a detailed 3D model of the Earth. In some cases this process leads to glitches, as the below ferris wheel in Scheveningen, the Netherlands, clearly demonstrates. 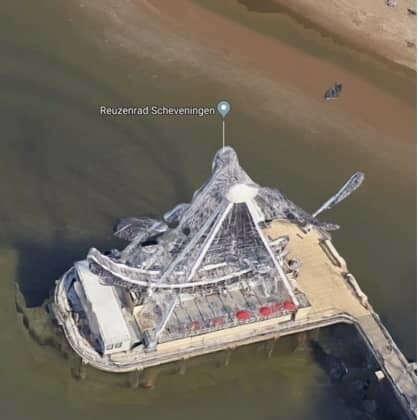 The Scheveningen ferris wheel, a glitch in Google’s 3D model of the earth. It’s also important that readers and visual journalists remember that Google Earth images are typically a few months to a few years old. Suggesting that these images are 'live' or taken after the breaking news event took place would be lying. Let’s move along to a map type that is definitely lying to the reader: the extent map. In order to communicate the size and magnitude of things around the world, these maps cut them out of their real geographical location and paste them into a foreign one. For example, during the 2014 Winter Olympics in Sochi, the New York Times produced an extent map to illustrate the size of the site’s infrastructure, by copy-pasting these into the streets of Manhattan. Racers might begin their starting sprints 40 stories up and several blocks north of Times Square for the run down the city’s own version of the Sanki Sliding Center’s track, finishing in a big turn on the plaza in front of the Armed Services Recruiting Center. Credit: Is That a Luge in Times Square? by the New York Times. Many readers lack good reference points for assessing how long a 400 meter ship really is, or how far 5.800 square kilometers really stretch out. By showing these objects and areas on maps that the reader can relate to, a direct connection can be made to their reference frames. When the iceberg A-68 broke away from the Larsen C ice shelf in Antarctica, many media compared it to the size of Delaware. For Americans familiar with the size of this state, this comparison was probably helpful. But for many readers the size of Delaware is just as abstract as 5.800 square kilometres, the actual size of the iceberg. That's why the Berliner Morgenpost built a little interactive extent map, which the reader can use to copy-paste the iceberg's silhouette to any number of familiar places. Extent maps are only useful when the area used for comparison is familiar to the reader. Otherwise the question of 'How big is that iceberg?' remains unanswered and the reader ends up with more questions, like 'How big is Delaware?'. Some readers may even be confused and think the iceberg (which is in a place far away from them) is located near Delaware (an equally remote place for some). A map type that is becoming increasingly popular in news stories today is the before-after map. While before-after images have a long history in the news, journalists have previously been limited to photographs taken from the ground. Before and after images are now mostly taken from space, by satellites circling the globe. Until recently, detailed satellite images with a high temporal resolution were simply not available and as a result details were too blurry or time intervals between pictures were too wide to be useful. Today, a range of satellites with high resolution cameras fly over the same location with a frequency of once every week and sometimes even once per day. 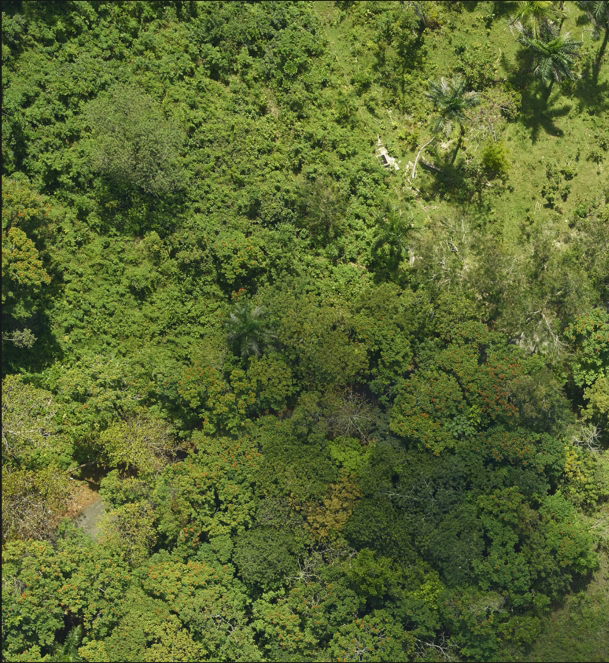 This allows for the detection and reconstruction of events like like deforestation, floods, droughts and the construction of buildings. NASA's Images of Change is an example of the powerful impact of before-after maps. Included in the gallery are images highlighting the impact of drought on Europe, forest fires in California, and hurricane damage in Puerto Rico. Before-after images showing the destruction caused by hurricane Maria in Puerto Rico. Newsrooms have also discovered the power of before-after satellite images. Often, the supplier of these images is Planet, a Silicon Valley satellite imaging company that offers daily high resolution pictures with its 'flock' of shoebox sized satellites. The company has already provided images for news stories about the construction of Chinese coal plants, the effect of drought on German vegetation, and the development of North Korean missiles. Before-after maps are usually very explicit about the date images were taken, so there is no room for misleading there. But like all aerial imagery, these images are still flawed. For example, images are only useful for before-after maps when they are taken during daytime and on cloud-free days. Ever noticed that the sun is always shining in these images? For this reason, photos showing destruction after a big storm usually take some time to become available after the clouds have disappeared. Some parts of the world are also much cloudier than others, so clear satellite pictures for these regions are rare. And that's not all. All of these raw images need to be corrected with good colour correcting algorithms. Differences in the angle at which the sun is illuminating the scene, differences in atmospheric conditions, and the variations between cameras on board different satellites introduce biases and glitches in satellite images. Ignoring these differences, or trying to remove them with badly designed algorithms, will lead to misleading before-after images. Brown areas 'affected by drought' could well be looking a lot greener when processed incorrectly, for example. 'There are lies, damn lies, and statistics,' the saying goes. So what happens when you mix statistics with maps, which are distortions of reality by definition? You get numbers on maps, and those are really easy to screw up and can very easily mislead. These maps don’t serve as general reference maps, using data to show geographical patterns about a certain topic instead. Most commonly, they are used by journalists during election times, to show where people voted and for whom. A 2016 election map showing voting patterns in Berlin. Interactive version by Berliner Morgenpost. Maps that show administrative areas shaded according to some data value are called choropleth maps. These are useful for showing geographic patterns in statistics that are collected at the level of administrative units; for example, the average age of the population for each country, or the share of impoverished population living in the municipalities of a country. 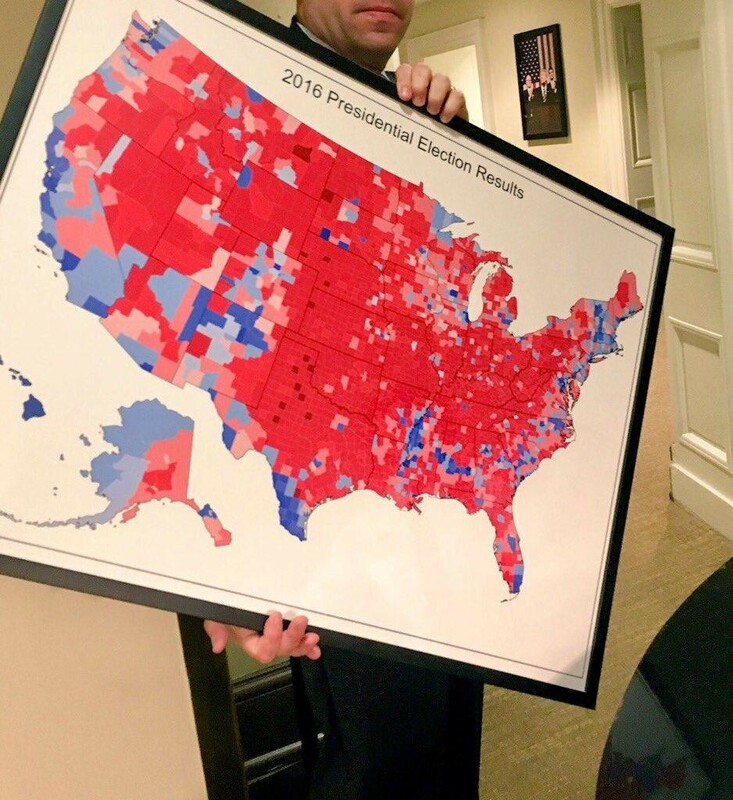 Tweeted on 11 May 2017: "Spotted: A map to be hung somewhere in the West Wing". On this map, population density is not taken into account and, as a result, a lot of the Republican red dominates the map (that’s why President Trump likes this map so much). The millions of blue Democratic voters concentrated in the big cities on the eastern and western coast are not well represented on this map, because they live in a relatively small geographical area. Many techniques exist to overcome this problem, one of these solutions is called a cartogram. 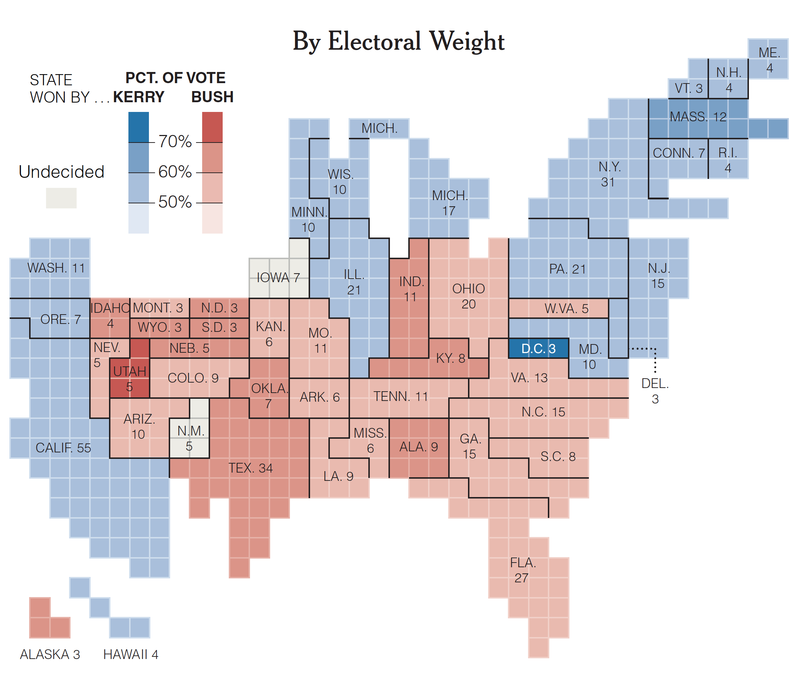 A US election map that scales the states to account for the number of voters living in it. Credit: The New York Times. With this technique, densely populated areas are assigned more visual space on the map. But cartograms have their own downsides: they distort the geography considerably, as is clear in the example above. Probably the biggest and most frequent lie in mapping refers to world maps that use the Mercator projection. Almost all online maps use the Mercator projection, but the projection is used in many static and offline world maps too. The problem with the Mercator projection is that it distorts areas close to the poles enormously. 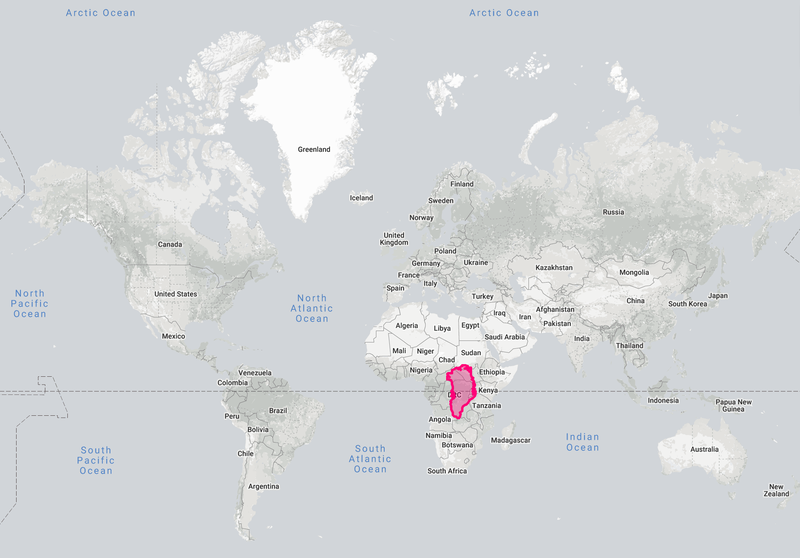 Did you know Greenland isn’t really the same size of Africa? It’s actually 14 times smaller. 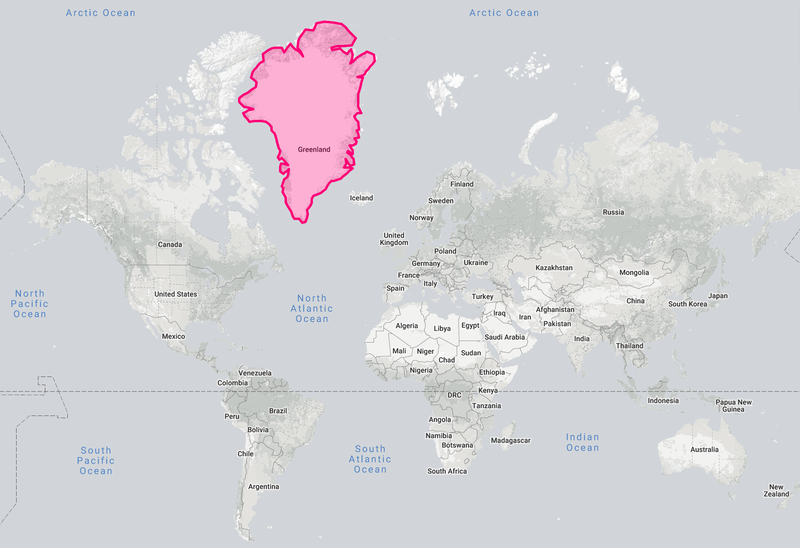 Greenland in its real location is blown up on a map using the Mercator projection. Check for yourself how Google Maps distorts the shape and area of countries in the north and south of the globe on thetruesize.com. Because of these distortions, it is better to avoid the Mercator projection for maps showing areas close to the poles and world maps. This is the reason why Google Maps decided to switch to an orthographic projection when zooming out to a world view. As a rule of thumb, journalists should try to avoid using the Mercator projection when making world maps. Good alternatives are the Robinson and Winkel-Tripel projections, or the recently developed Equal Earth projection, which respects areas throughout the whole map. Today's modern web browsers support WebGL, a technology that allows browsers to tap into a computer's graphics card, opening up a whole new range of mapping possibilities. WebGL makes it possible to rotate maps, tilt the camera view, and visualise data in three dimensions -- it's an exciting new toy. 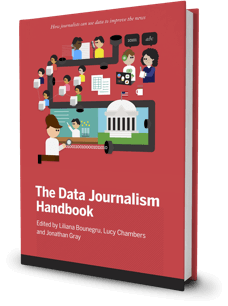 But all these fancy features make it harder for readers to assess the numbers behind a visualisation. Tilted views make features in the back look smaller, and even hidden or obscured by other features in front of them. And because the camera view can be rotated and flown around, the north is not always up in these maps. This may confuse readers. Let's look at an application of this technology in One belt, one road by The Financial Times. This story uses an animated map of the new Chinese Silk Road, which reacts as the user scrolls through the text. In this way, different features on the map can be highlighted by zooming and rotating the map to get the best view of each section of the new Silk Road. Although this feature helps step the reader through the story, it also means that North is not always up, which can be confusing for readers unfamiliar with the countries and cities shown on the map. 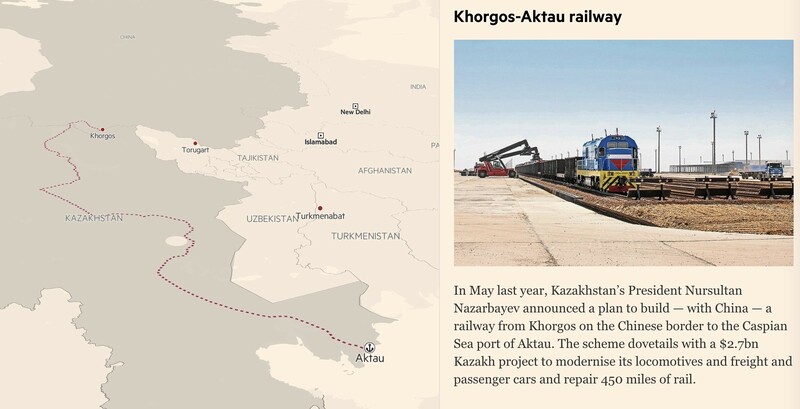 The ‘One belt, one road’ project by the Financial Times. The adoption of WebGL by mapping tools like Mapbox and more recently kepler.gl has opened the door for WebGL driven maps that show numbers. 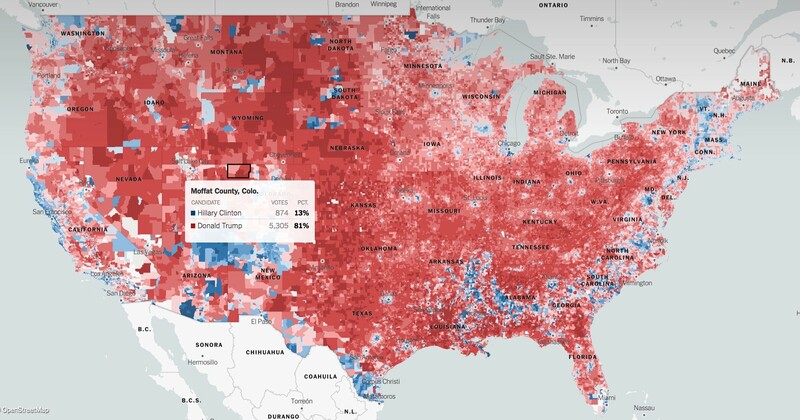 These have already found their way into the media, as An Extremely Detailed Map of the 2016 Election by The New York Times shows. An extremely detailed map of the 2016 election by The New York Times. Mapmakers make a lot of design decisions in order to produce clear and useful maps. They leave things out, simplify things, highlight elements and put other elements in the background. Areas, shapes and lines are distorted and geographical features may be shifted out of place. Sometimes old imagery is used to show where recent events took place, and unlike in the real world the sun is always shining in satellite images. The degrees of freedom in the design of a map are infinite and by changing the size of features, the colours, the layering, the composition and the projection of a map, a different story is told and other distortions are introduced. This illustrates perfectly another point made by Professor Monmonier: "A single map is but one of an indefinitely large number of maps that might be produced for the same situation or from the same data." Maps are powerful, but sometimes a misleading picture is generated. Mapmakers, as well as map readers, should be aware of their limitations. So, remember that all maps are a lie. But these are necessary lies.